Weather: Mostly sunny. Mid 60s to start. Low 80s to end. Wind was moderate, a head wind of sorts that eventually worked its way into a mild tailwind at the end of the ride. Today started out with a bang. Or should I say the early morning started with a bang. Strong thunderstorm cells moved through the Warm Springs area from midnight until 7:00. Many of us were rattled awake in the middle of the night by close lightning strikes. It was quite dramatic and we were all very happy to experience it while being indoors. Not being woken up in the middle of the night would have been even better but that would be whining. The load was delayed for a little bit, the skies cleared, and we had another great day on the bike. The route featured more beautiful high desert landscapes. Skies were sunny and cloud-free. Mt Jefferson followed the riders most of the day. The Three Sisters made their presence clearly know. Even Mt Hood got in a few parting views. The Cascades were out in full force. It was a beautiful day on the bicycle. Moderate temperatures, mountain views, beautiful high dessert vistas and a downhill tailwind to end the day. I’m not sure we could ask for more. 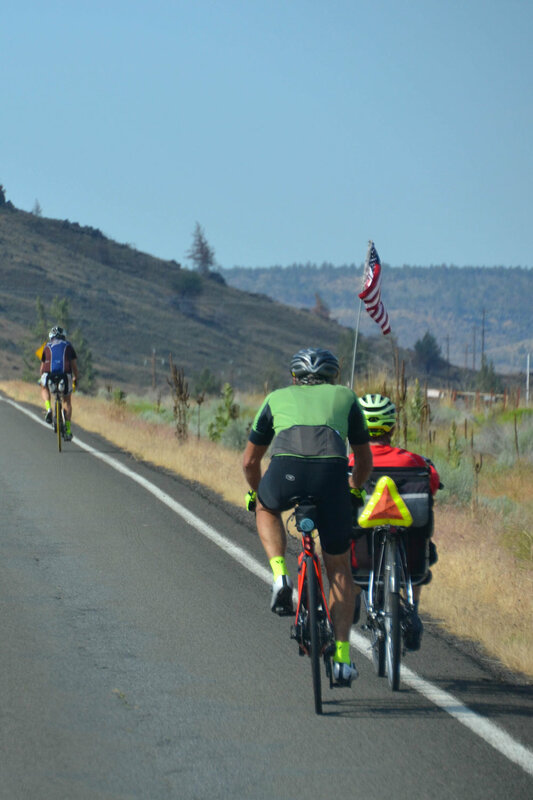 Tomorrow we ride out at dawn to the town of John Day, OR. 115 miles and ~5,000’ of climbing. It’s time to get a good night’s sleep.